2016 represents a unique milestone in the history of the Secret Betting Club as its their ten-year anniversary of service and to celebrate they have a really special offer for you! For the whole month they are deducting £16 off the cost of ALL Secret Betting Club Memberships – Silver, Gold and Platinum, making it an ideal time to see just how they can help you make money betting. So if you have yet to try their service out, make sure you do this month and save £16 via this special offer. Ten years is a long time in any business, yet it is a lifetime in the tipping world – so how have they lasted the test of time? They like to think this is down to their independent review stance and the unique way in which they are funded, which allows them to tell it like it is. So rather than making a cut from sales of the tipsters they review (which is how all other review sites work), instead they charge you a membership fee for access to their reports and magazines, which allows them to be independent. Ultimately this means they can tell you the truth where others won’t. 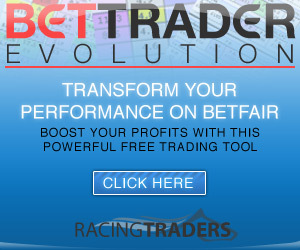 If they don’t rate a tipster, they will tell you – regardless of how much money they might offer to say otherwise. Thus ensuring you can trust their opinion at all times on just which tipsters can make you money betting. Over the course of the past 10 years the Secret Betting Club have helped many people with their betting, yet recently one member emailed in with details on his own unique journey from perennial loser to long-term winner. His name is Steve and he has been a member of the Secret Betting Club since May 2014. “For me it all started back in January 2014 when I received a glossy item of junk mail from a ‘racing club’ offering me a 4 week trial to include a ‘HUGE GAMBLE’ at Chepstow on 22nd February – all for the massive discount of £49 – saving me a huge £71. I took no action and ignored it – but I couldn’t get it out of my mind. I started to wonder if there was some organisation that rates/monitors these racing clubs/tipsters. A month or so later I started to ‘scratch that itch’ and did some research on-line and eventually stumbled on a blog called ‘The Portfolio Investor’ written by Rowan Day. Here for the first time – I learnt that following a portfolio of carefully chosen tipsters could be profitable – with a fair degree of patience and discipline. Rowan also mentioned ‘The Secret Betting Club’ in fairly glowing terms, so I looked them up. It’s worth pointing out that I’ve not been a fan of horse racing – or gambling for that matter and up to this point – had only dabbled with very small stakes (up to a fiver). So the idea of parting with £79 to join ‘The Secret Betting Club’, wasn’t an easy decision – £79 was (and still is) a lot of money to me! But after a couple of month’s deliberation and further reading of Rowan’s blog, I took the plunge on 1st May 2014 and paid my £79 to join. There was a money back guarantee after all, so what had I got to lose? I opened a separate bank account and email account as recommended and then joined 3 horse racing tipsters including the ‘Northern Monkey Punter’ and have to admit that I got lucky with some good returns in my first couple of months – it all seemed to be too easy! Towards the end of the year I hit a losing run and ditched a couple of tipsters in favour of SBC ‘Hall of Fame’ recommendations. Losing runs are horrible, but provide a useful reality check – and I found myself re-reading the SBC’s ‘Professional Gambler Blueprint’ over and over to make sure I wasn’t making silly mistakes (I was) ! 2015 started slowly and I didn’t make a penny of profit for the first 10 weeks. Then came Cheltenham and at last – a chink of light ! Sadly Cheltenham was followed by another 4 barren weeks until Aintree when another good 3 days produced a little profit. With this profit, I took the plunge and joined another Hall of Fame tipster. That was back in May of last year and I haven’t looked back since! I currently follow 5 racing tipsters, all of whom are SBC reviewed and recommended. During 2015, I managed an incredible net profit of £11,595 (after £1,764 of tipster subscription and SBC fees were deducted). I’m now free from credit card debt for the first time in years and am planning a cruise with my long suffering wife for our Silver wedding anniversary in October this year – happy days! I know it all sounds easy – but it does require a daily commitment to follow my chosen tipsters – every day of every week – the novelty has long since worn off! Patience and discipline are also attributes that you cannot have too much of. Keeping a record and checking the latest Tipster Profit Report are also essential steps towards making some money and staying profitable. So in 2 years I’ve come a long way – I’ve made some mistakes and learned from them. And I’ve really started to enjoy horse racing and went to my first race meeting last June at Royal Ascot – great fun ! Steve’s story is similar to many other Secret Betting Club members over the years. After all, over 85% of those surveyed in their end of year members poll told them they made a profit in 2015. You can get started straight away with instant access to their service as soon as you sign-up.